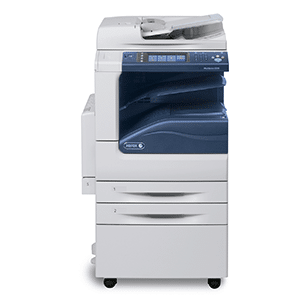 If you are looking to get a black and white copier that is a workhorse, we would like to introduce you to the Xerox WorkCentre 5330 copier. This is a black and white copier used by attorneys, accountants, and others who need a workhorse copier and don’t want to risk their staff forgetting driver rules and printing a bunch in color. This is a black and white only copier, which goes 30 pages per minute and handles 11 X 17 paper. We see people get this copier when they want a solid office copier that will “just work” without issues. We are here in the Denver area as a copier dealer who wants your business. We don’t kill you with small nickel and dime charges. We make it easy to work with us. This copier does do a “copier only” version – one without printing and scanning that is cheaper, though we find this to be an unpopular configuration. We love the VIRTUAL DEMO which will give you all the information you will possibly want on this copier. Please give us a call for a quote on a Xerox Workcentre 5330 copier today!